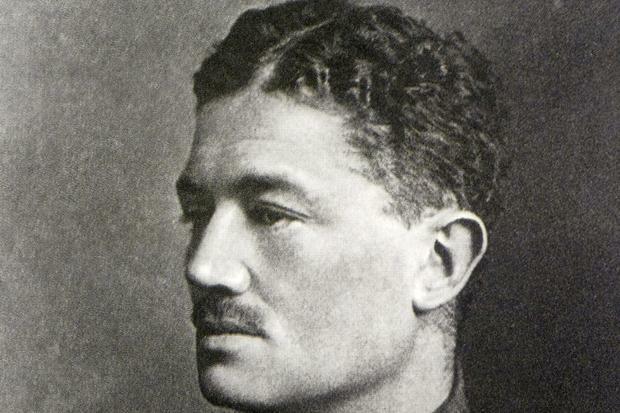 One of the lesser known Great War poets, Julian Grenfell was born in London in 1888 and was unusual because he had joined the army nearly four years before hostilities broke out. He came from a privileged background, his father a famous sportsman and his mother well known for hosting society occasions. Brought up in Buckinghamshire he fell in love with poetry from an early age and by the time he attended Eton he was writing his own verses, producing content for the college papers and winning the Jelf Prize. He was generally good at anything he tried his hand to, whether it was sporting activities such as rowing or shooting or academic studies such as Latin and, of course, poetry. Grenfell was also a sensitive individual and he became concerned with the way society contradicted itself. That and several failed attempts to find love led him to have mental health problems that interrupted his studies for a while when he went to Oxford. 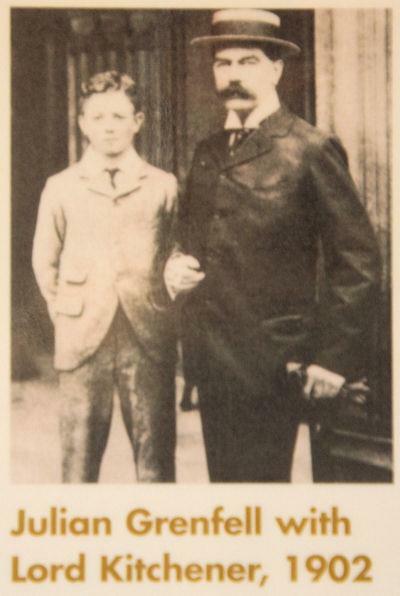 In 1910, having left university, Grenfell joined the army and was sent to India and then South Africa with the Royal Dragoons. He wrote To a Black Greyhound at this time which illustrates his love of animals and his affinity to nature at the time. 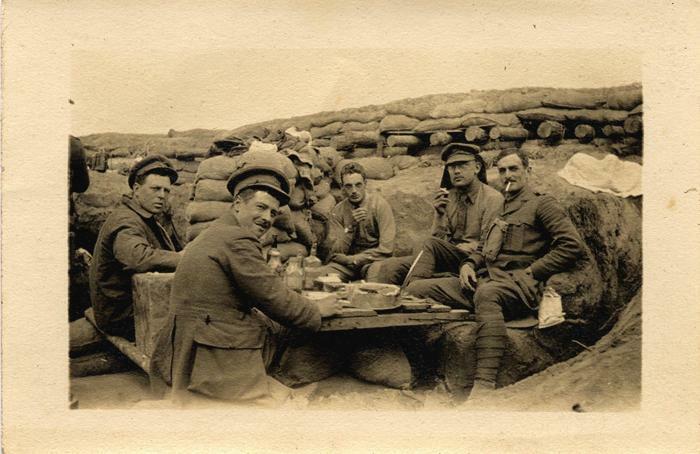 After four years he dallied with the notion of leaving the army and starting life as a painter but circumstances were about to change with the outbreak of World War I. 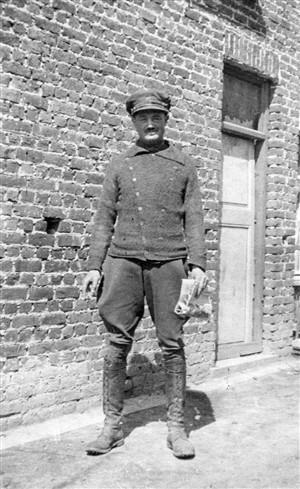 Shortly after, he found himself posted to France, still ideological about fighting for some great cause and even winning a DSO for his bravery on a reconnaissance mission. 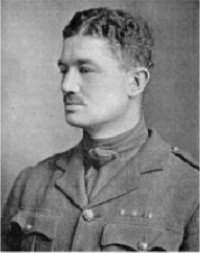 Perhaps a little naïve, unaware of what was to come, Grenfell once stated that he had never been more happy than during his time on the front. Compared to his compatriots such as Sassoon and Owen who survived long enough to become disillusioned with war, Grenfell was seen as one of the last who saw only glory in the act of conflict, ignoring the tremendous suffering that many would undergo over the next four years. 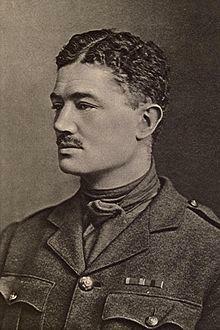 Grenfell was promoted to Captain and soon moved to Ypres, the scene of one of the bloodiest battles of the war. Standing talking to some other officers, a shell landed nearby and he was injured by flying shrapnel. He was taken to hospital but died from his wounds a couple of weeks later in May 1915. 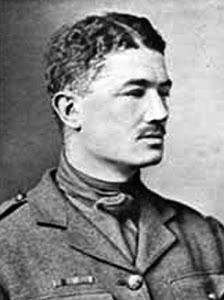 Grenfell is perhaps best known for his poem Into Battle which was written while he and his men waited to go into battle at Ypres. 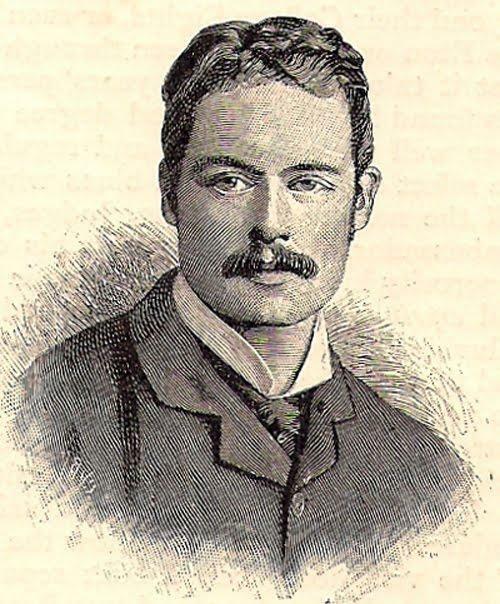 The poem was printed in the Times newspaper with an announcement of his death, something which undoubtedly led to many more men signing up to take part in the war because of its upbeat, patriotic tone. 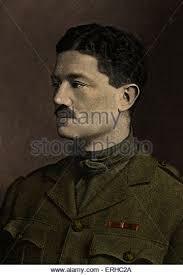 His verse reads in marked contrast to the more realistic interpretations of the Great War which were to follow and perhaps provides a telling insight into the men who went to war seeking glory and yet found only death and destruction. In 1985 his name was included on a plaque to commemorate the War Poets in Westminster Abbey.